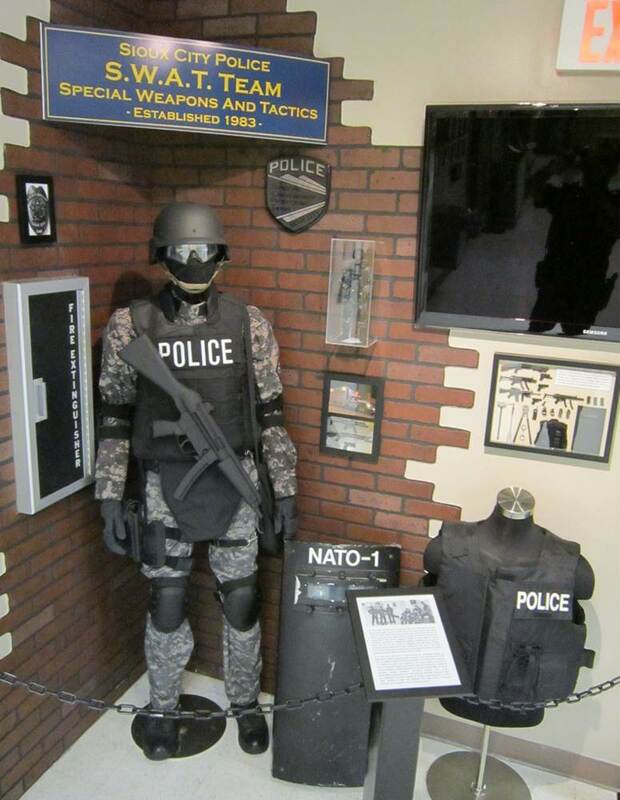 In 2011, Officers and staff of the Sioux City Police Department formed a committee to coordinate the construction of a museum on the 2nd floor of Police Headquarters. 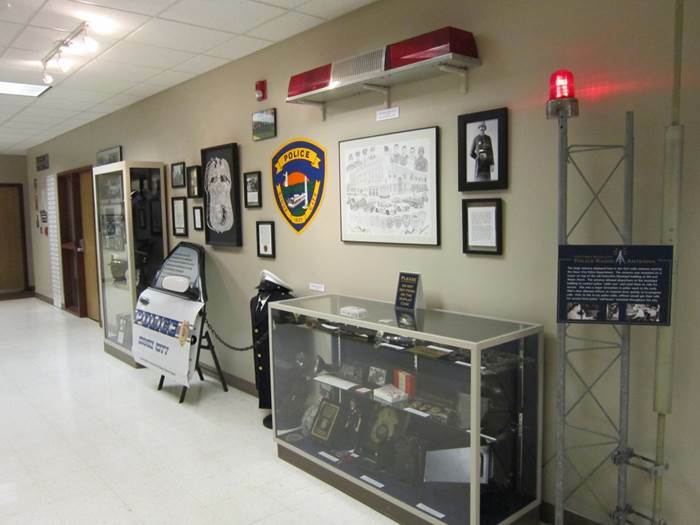 The goal of the museum was to preserve the over 150 years of Sioux City Police history. The "Hall of History" would slowly evolve as a resting place for various artifacts from all eras of the Sioux City Police Department, allowing visitors to understand the considerable changes to policing over the years. Local historians such as George Lindblade also worked hard to preserve photographic evidence of agency activities. Without the work of citizens and officers to collect and preserve these items, much of the history and lore of the Sioux City Police Department would have been lost. 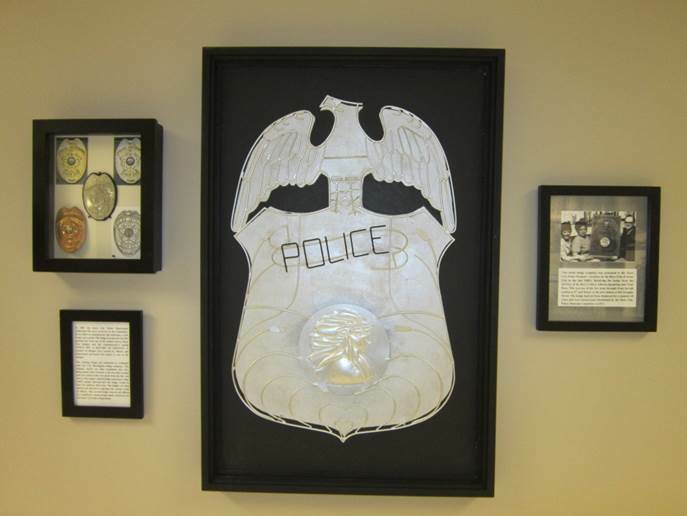 Some interesting items that have been donated to the police museum include a Chuck Raymond original print of a SCPD K-9, and a wire frame model of a SCPD badge that had been given to the SCPD by the Boy's Club in the mid 1960's. For a tour, please contact Officer Lori Noltze at 712-279-6411.